TodayMark Siegrist and nutritionist Cassie Bjork join Jimmy and Mindy on the Virtual Porch! - "Carbs + Fats = Obesity"
- "Beyond meat: Americans preoccupied with protein"
- "(Paleo) Diet's doable despite no grains or dairy"
- "Paleo diet followers love eating like cavemen, but health experts wary"
- "Is Advocating The Paleo Diet Against The Law"
49: Roger Dickerman And Emily Maguire Take On NYC Soda Ban & More! We’ve got a fabulous show in store for you in Episode 49 of Low-Carb Conversations with Jimmy Moore & Friends with our co-hosts Jimmy Moore and Mindy Noxon Iannotti rockin’ it with two more fabulous low-carb friends. If you missed the BIG NEWS last week that we’ve decided to go to a LISTENER-SUPPORTED format with this podcast, then I wanted to invite you to make a donation to help keep this show on the air. We were blown away by the outpouring of love and financial support after making this announcement last week and we are so grateful to each and every one of our incredible listeners who have told us how much this podcast means to them. THANK YOU from the bottom of our hearts for helping us continue providing new episodes of “Low-Carb Conversations” and we’ve got another spectacular hour-long episode to share with you today! We feature a Philadelphia, PA-based Paleo fitness expert named Roger Dickerman(who Jimmy met at PaleoFX in March) from Relentless Fitness and the Senior Nutritionist at the UK-based low-carb GoLower company Emily Maguire who works with the incredible low-carb advocate Hannah Sutter who Jimmy has interviewed previously on “The Livin’ La Vida Low-Carb Show.” Listen in as our prestigious panel chimes in on the recent sugary soda ban in New York City, a new study that says being obese doesn’t necessarily mean you have heart health risks, a history lesson on how highly-processed omega-6-rich vegetable oils replaced natural animal fats, whether too much Vitamin D can be as problematic as too little, and the notion that once you’ve been fat people will always look at you as being fat. It’s a full slate of interesting topics for you today, so sit back, relax and enjoy the conversation! NOTE: Apologies for the “rumble” during this podcast. We had a poor Skype connection with one of our guests. THANK YOU for your understanding! - We’re now LISTENER-SUPPORTED: DONATE HERE! We're so happy to be back at it again in Episode 48 of Low-Carb Conversations with Jimmy Moore & Friends with our co-hosts Jimmy Moore and the prodigal child Mindy Noxon Iannotti back in her rightful place on the show after being gone since March. And we've also got some MAJOR changes to tell you about with the podcast. You'll immediately notice we no longer have any sponsorship ads at the beginning of the podcast. That's because beginning right now, we are totally listener-supported. Yep, we are focused on bringing a show dedicated to you, for you and about your healthy low-carb lifestyle. If you like what you hear, then we'd appreciate your financial support to help us keep this show on the air. We appreciate all of our faithful listeners and encourage you to make your contributions so we can keep the fun going: DONATE HERE! In this special extended one-hour show (let us know if you like the longer episode or not), we feature a husband-wife team named Tom Nikkola and Vanessa Romero who joined us on the recent May 2012 Low-Carb Cruise. We were so impressed with them that we just knew they had to be on the podcast to talk about the health headlines of the day. Tom is the Director of Nutrition & Weight Management at Lifetime Fitness and his wife Vanessa blogs at "Healthy Living How To." Listen to their inspiring stories of low-carb success and then as they opine with Jimmy and Mindy about whether exercise is harmful, if exercise is equal to diet in terms of diabetes management, the idea that there's no such thing as cardio exercise, a new study proclaiming low-carb diets are good for the kidneys and if Dr. Atkins is to blame for confusion over carbs. Plus, don't miss Vanessa's mouthwatering melt-in-your-mouth dark chocolate coconut cups recipe at the end. 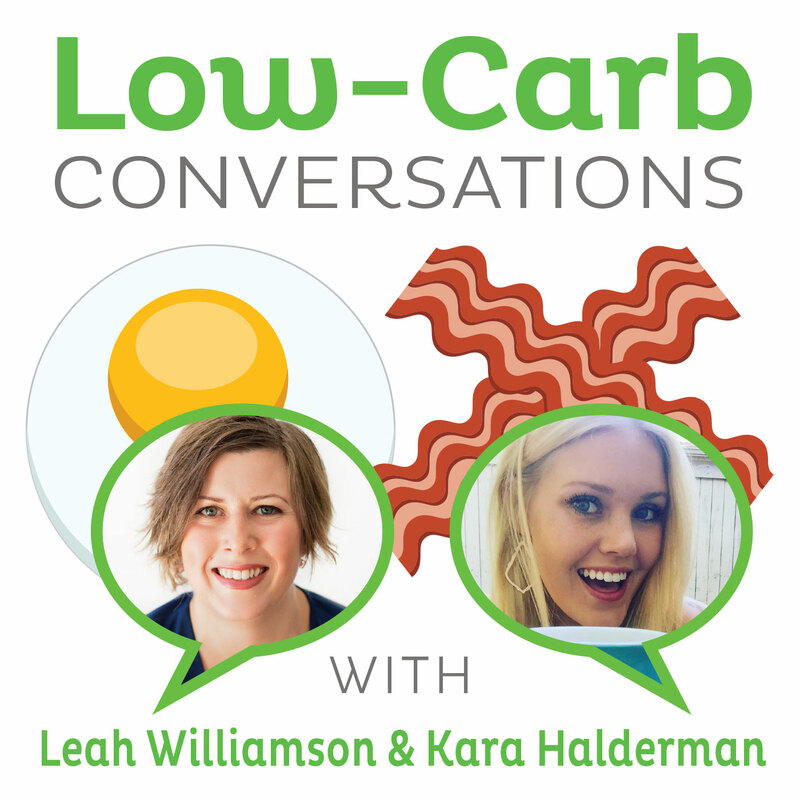 Get ready for a fun ride in today's super-sized, but oh-so-healthy episode of "Low-Carb Conversations!" - "Is Exercise Harmful for Some People?" - "What Is It Going to Take to Get Exercise on an Even Keel With Diet for People With Diabetes?" - "There's No Such Thing As Cardio"
- "Atkins-Type Diets Look Kidney-Friendly: Study"
- "Carbs are Confusing: Why Atkins is to Blame"